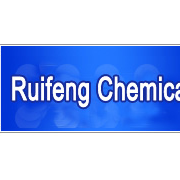 ﻿ Qidong Ruifeng Chemical Co., Ltd.
Qidong Ruifeng Chemical Co., Ltd.
Qidong Ruifeng Chemical Co., Ltd. is located in Binjiang fine chemical park in Beixin town, Qidong City, Jiangsu Province, and engaged in the manufacture of all kinds of pharmaceutical materials & intermediates. We have become the largest production base for chlorpromazine hydrochloride and 2-Chlorophenothiazine. At present, our products mainly include chlorpromazine hydrochloride, 2-Chlorophenothiazine, 1-Bromo-3-Chloro-2-Methylpropane, 3-Chloro-2-Methyl-N,N-Dimethylpropylamine HCL, 3-Chloro-N,N-Dimethylpropylamine HCL, 1,3-Dibromopropane, Isobutyl bromide, 4-bromofluorobenzene, 3-bromopropene, 3-Chloro-1-Propanol, etc. Our company boasts perfect H.R. management system, top technical powder, advanced testing instruments, well-formed service system as well as superb products quality. And our products have been well received and in great demand around the world.